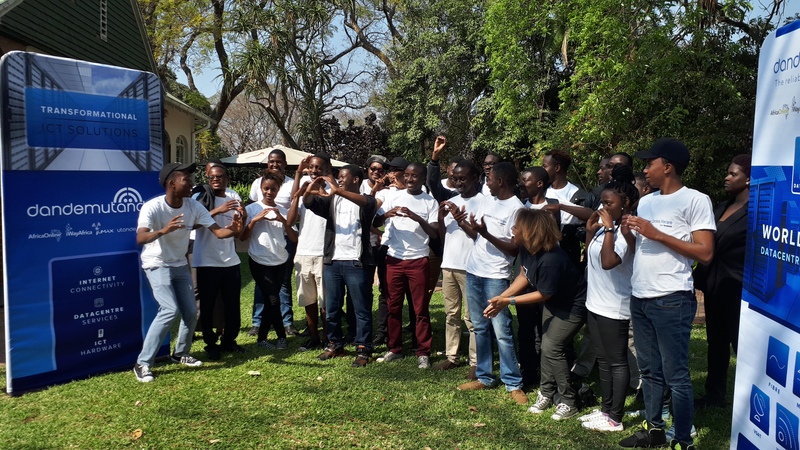 On 14 July, Facebook launched a developer community called developer circles in Harare. The community aims to bring people who are interested or experienced in coding to one place and learn together different technologies. 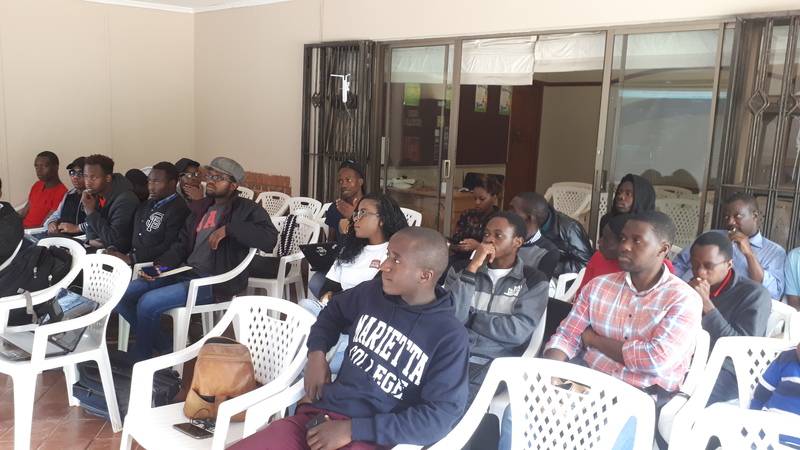 On Saturday, the first Facebook Developer Circle meetup was held at Impact Hub Harare with a focus on Messenger Bots. 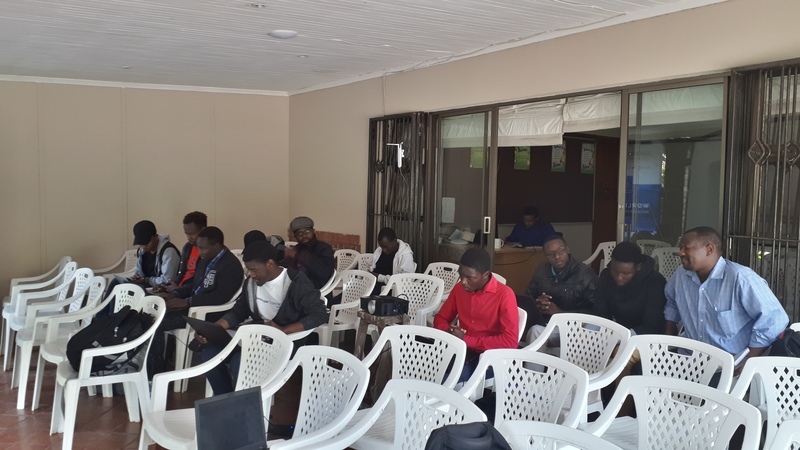 The Harare Facebook Developer Circle just got started so the meetup didn’t start according to the planned agenda of the day. 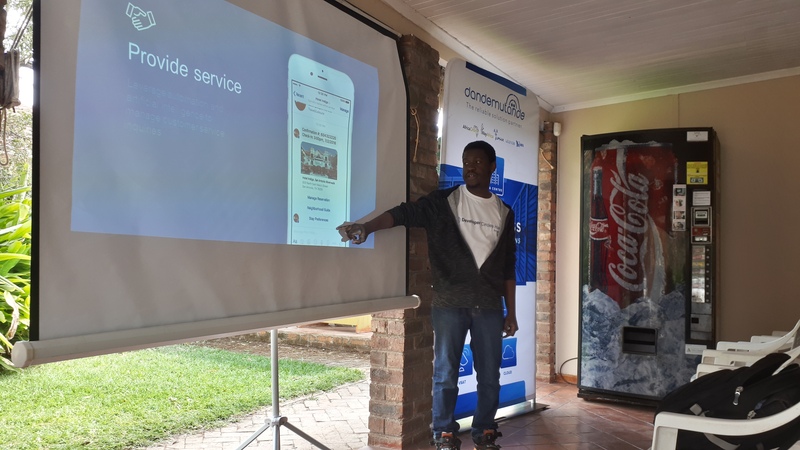 However, a few minutes later, Kuzivakwashe Muvezwa – Lead of the Facebook Developer Circle, started the meetup by briefly introducing himself and explaining what the Facebook Developer Circle is all about. The topic for the meetup which was chosen by community members was Messenger Bots. The meetup was supposed to be in-depth but because of the late start, plans had to be changed. It turned out that changing the number of concepts that would be covered was a good idea because most of the people revealed in their introductions that they had not done any Messenger Bot development before. Once the new plan was set, Kuziva then started a presentation that would set the tone for the Messenger Bots development topic. His presentation outlined how Messenger Bots allow you to use a machine to do certain things by talking to it as a person. If done well, it wouldn’t just respond to preset instructions e.g if a person sends “hi” to the bot, it replies with “how are you” but it’d be able to process natural language and actually understand context. If you’ve used an artificial intelligence based digital assistant like Siri, Google Assistant, then you’ve probably seen natural language processing in the works as the assistant understands what you’re saying. 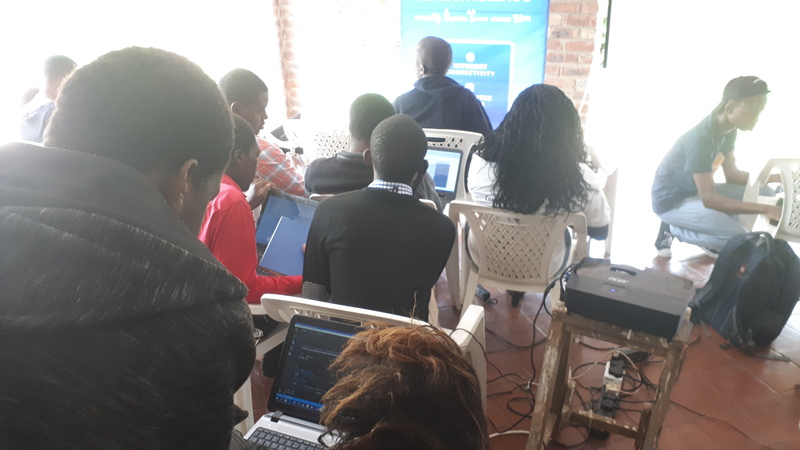 After explaining how Messenger Bots work, Kuziva then explained some of the reasons why a person would want to build a Messenger Bot, especially for Zimbabwe. The use case scenario that was used was in e-commerce. 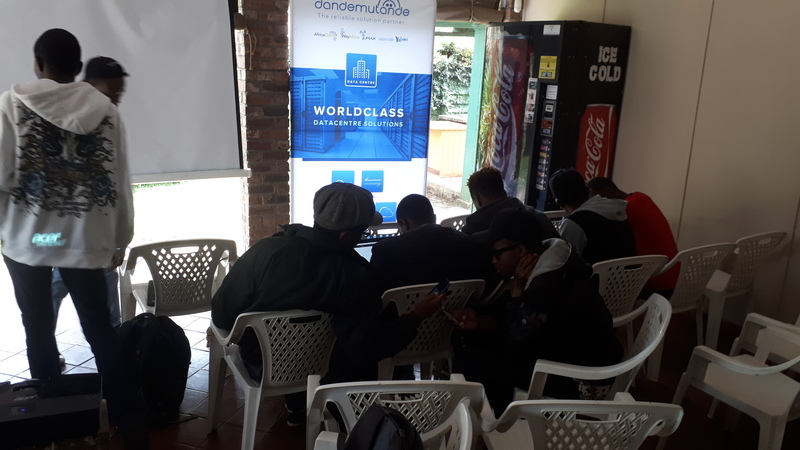 In Zimbabwe, data is quite expensive and if you have an online store, people might not use it because they don’t have the data to access the website. Now when you incorporate a Messenger Bot into your e-commerce store then it might increase the chances of people buying. How? People locally buy Facebook bundles and some work on the Facebook Messenger so it could be an easy access way to get people who don’t necessarily want to go to your online store and buy so you could just do it from the Messenger platform with as little friction as possible. Messenger Bots can allow people to buy right from the app and given how the platform has over 1 billion users, there is an active user base you can ride on. 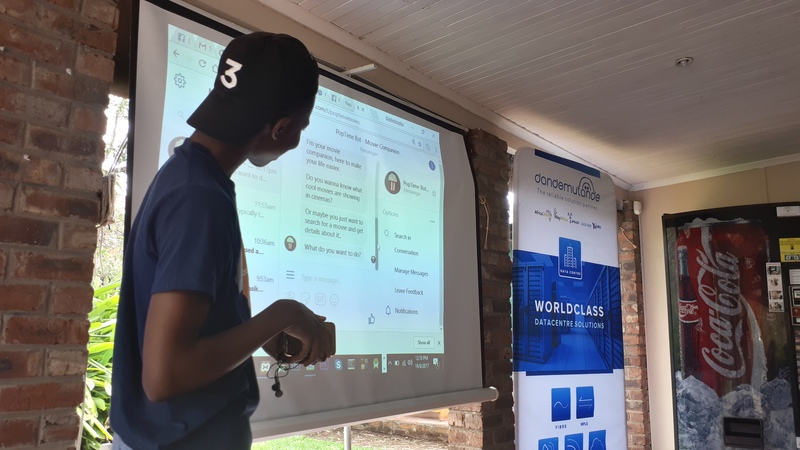 After going through the look, possible functionalities and uses cases of Messenger Bots, Kuziva then invited Kudzai Chasinda to take us through a practical example of a Messenger Bot. Kudzai created a bot called PopTime which allows people to get updates on the movies being shown at cinemas locally. He was one of the Zimbabweans who participated in the Messenger Bots challenge that happened earlier this year. He revealed some of the code of his Bot and how he built it. The walkthrough outlined some of the key and common structures of a Messenger Bot and how they work. 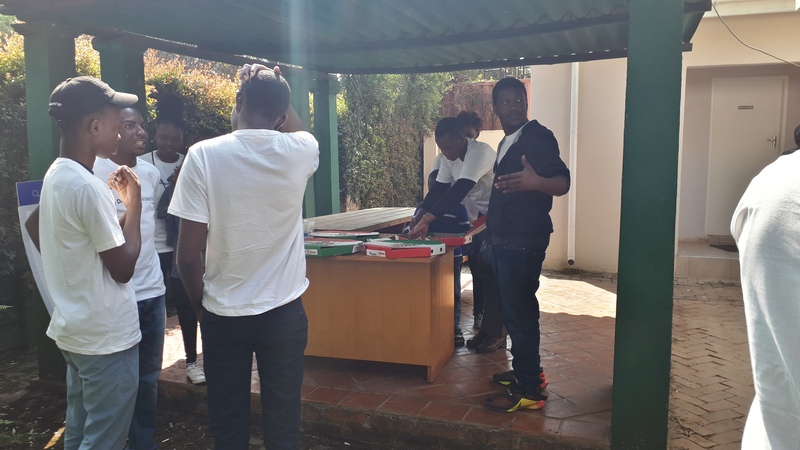 After his presentation, we then took a break for lunch and just following the now known as typical developer meal, there was pizza. At the end of it all, the meetup was not that bad for a starting community. Even though the deep dive into the code of a Bot might have been overwhelming for new people to programming or Messenger Bots, the good thing is that most of the things discussed were not all focused on code examples. From the feedback that came from the people, improvement of the meetups will happen. 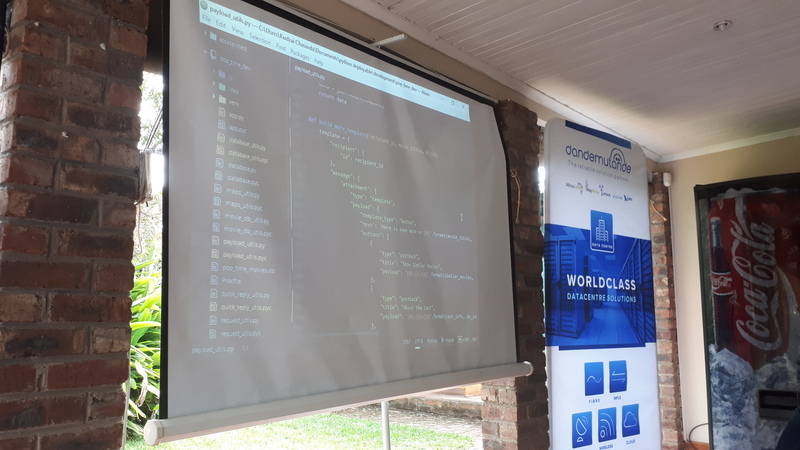 It was unfortunate that the meetup was planned along with the assumption that some seasoned Messenger Bots developers would be around to help the people like me who are new to the platform. Hopefully, the community will continue growing and build exciting things that actually solve local problems as is the vision of the community.